The applehead is the only type of Chihuahua recognized by the AKC. While the deer Chihuahua is not a separate breed recognized by the American Kennel Club (AKC), many breeders do recognize it as a subtype of Chihuahua. A deer head Chihuahua cannot compete in the show ring, but many people desire this dog for its sweet, deer-like face and long, elegant legs. The most obvious difference in the deer head chihuahua can be seen in its muzzle. The deer head’s muzzle is longer than appleheads, and has been described as looking similar to that of a young deer, hence the name. In contrast the applehead has a muzzle that forms a 90-degree angle where it joins the skull, meaning there is no slope, while the nose of a deer head slopes up to the forehead. All Chihuahuas have a generally rounded skull, but the dome at the top of the skull of a a deer head is not as large as that of an applehead, and the deer head’s neck is longer. A standard Chihuahua does not have a big, barrel chest, and there is almost a straight line from the chest across the tummy to the groin. When compared to the standard Chihuahua, the deer head type has a chest that arches more sharply into a narrower waist, tucking inward just past its rib cage. Deer head Chihuahuas can reach 10 or 12 lbs, while the breed's standard calls for disqualification if the dog is over 6 lbs, while the breed standard is described as “cobby,” meaning the legs are somewhat short compared to the dog's length. In contrast, the deer head is slightly longer than tall with longer legs. 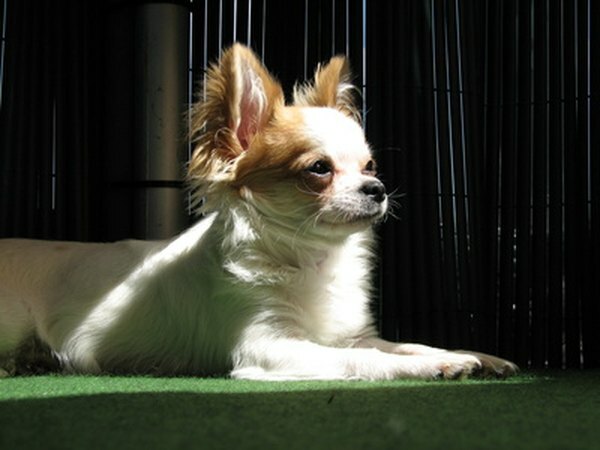 The deer head Chihuahua suffers from fewer health issues, generally because the applehead has been bred specifically to keep it small and pure. This means that the deer type Chihuahua has “hybrid vigor,” because they might have another similar breed in their lineage, such as a min-pin or rat terrier. 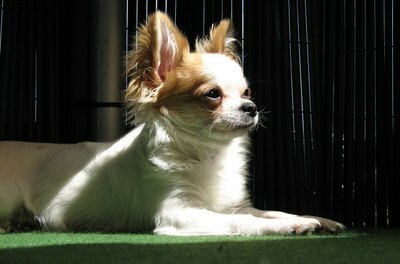 What Is a Chihuahua's Personality?